Smitty is a dark-eyed crook who dishes out violence like a volunteer ladles soup in a Tenderloin mission. 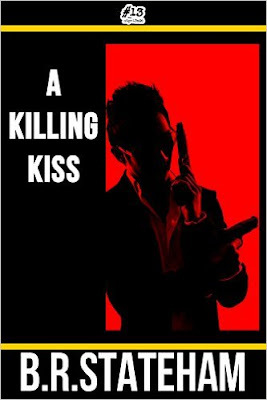 He's a hit-man for hire, but in B. R. Stateham's novella, A Killing Kiss, he is tasked with preserving life, not taking it. Despite his humanitarian assignment, there are plenty of victims of his expertise with gun and knife in Stateham's tersely pulpy blood-letter. As the book opens, Smitty has been retained to protect the wife and infant child of a mob boss who died suddenly under suspicious circumstances. No, not the kind of suspicious circumstances that involve gunfire or a bomb wired to the ignition of a car; the kind, instead, that would make the amateur sleuth in a tea-cozy mystery wonder what had happened: namely the sudden mortal illness of a man who had no prior history of acute disease. In order to carry out his mission, Smitty has to find out who killed the capo and why. 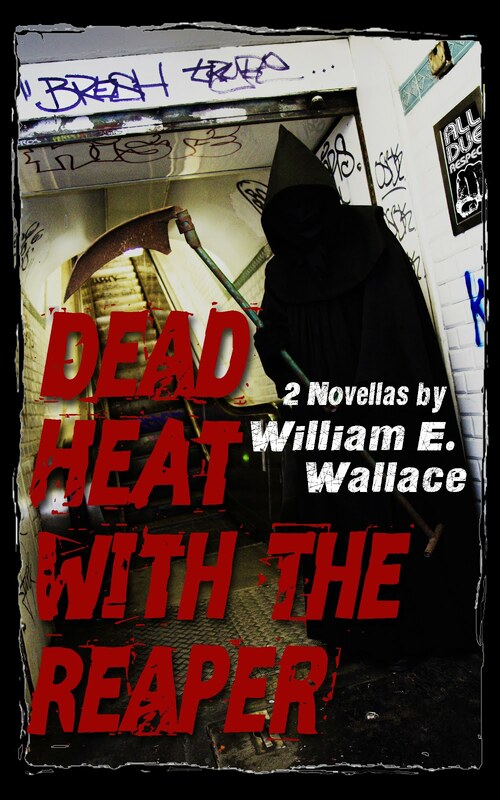 One thing becomes clear almost immediately: behind the death is treachery and a struggle for control of the racketeer's organization; Smitty is right in the middle of the fray and can't be sure who, exactly, he can trust. He gazes with suspicion on just about everyone else in the book -- even the woman he is supposed to protect. The story is only 92 pages long -- a short enough piece that it can be read in a couple of hours. But there is as much mayhem and high-jinx in A Killing Kiss as you will find in most 300-plus page novels. Stateham, who has written two other Smitty books plus a slue of fantasy and science-fiction tales, shows a sure hand with this kind of yarn. Whenever the action begins to temporarily pause, he sparks the narrative back to life by having a man come through the door with a gun in his hand. That, of course, is the advice the master, Raymond Chandler, offered to would be pulp writers. It's amazing how effective that plot mechanism can be in the hands of a capable writer! A Killing Kiss is classic pulp material -- quick, action-filled, violent. The woods are full of new, small presses that specialize in the sort of fiction that used to be reserved for what once were called "pulp" publications -- fast-moving, sometimes sordid stories that were printed on cheap paper stock just as quickly as authors could grind them out. One of them is an outfit called "Number Thirteen Press," a small indy that specializes in e-books, the "pulp" medium of the 21st Century. Number Thirteen Press gets its name from the fact that last year it began publishing a series of new novellas on the thirteenth of each month. So far it has delivered eleven of those titles. A Killing Kiss is one of them. What makes this short novel unique is the fact that the protagonist is an unreconstructed "bad guy" from the jump. Back in 1962, Donald E. Westlake, writing under the pseudonym Richard Stark, created a no-nonsense professional criminal named Parker who had a single-minded obsession with getting precisely his share of whatever loot he and his colleagues happened to steal. Parker was ruthless and amoral. He didn't go out of his way to kill people but he considered murder a useful item in his tool kit. Unfortunately, Parker had the worst luck in picking his crime partners. He almost invariably ended up getting screwed out of his cut and sometimes was badly wounded -- and even left for dead! -- by his colleagues. The outcome invariably made plenty of work for coroners and morticians: Parker, a hard man to begin with, was harder on traitors in his crews than on the targets of his robberies. 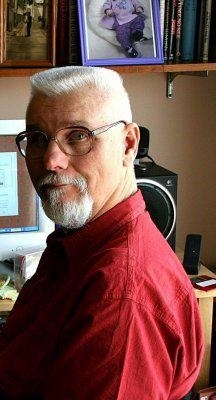 Since Parker appeared on the scene, a number of crime writers have fashioned characters that have similar pedigrees. Not hoity-toity black mask-wearing yeggs like The Toff or Raffles, but crooks with a harder, darker edge. In addition to the 24 books in the Parker series, Westlake wrote a series of popular novels about a small-time actor named Alan Grofeld who uses the money he raises in heists to support his rural theatrical company; Lawrence Block has a gentleman burglar, Bernie Rhodenbarr, and a professional assassin, Keller. Hell, even I have joined the pack by creating a crook named Eddie Pax who serves as a repo man for an organized crime ring. Smitty is a welcome addition to the fold. Give A Killing Kiss a spin. If you like it, there are four other collections of Smitty stories by Stateham on the market -- enough to keep you as busy as an undertaker on retainer to the Mafia. Thank you very much, William. An unexpected delight if there ever was one!